Guitar amp software basically gives similar sound to real amps. This software has come a long way to the point where their sound quality and realism is hard to tell apart from the real thing. Some of this software is better than others in certain genre of music while others actually give great sounds in different genres. The popularity of guitar amp software has been drawn greatly due to the advent of digital signal processing which makes this software to match the impedance levels, gain stages and circuit behaviors of the most iconic guitar amps in the world, with as little latency as possible. Overloud TH3 is a premier guitar amp software which comes with loads of features that makes it a must get software. This software comes with a simplified drag and drop interface, interface with over 203 models with official models such as Randall, DVmark, Brunetti and THD authorized modelling, which is approved by original manufacturers. Overloud TH3 also features 69 guitar amplifiers, 3 bass amplifiers, 35 guitar cabinets and 2 bass cabinets. Users also get access to 75 pedal and rack effects with 18 microphone models, with up to four mics on each model. Overloud TH3 uses a proprietary non-linear algorithms which gives an improve sense of realism compared with previous versions. The graphics user interface has been revamped with a black and orange theme giving nice visual feedback which simulates studio or stage environment. This is good software for beginners but for more functionality and features you can check out Ik Multimedia Amplitude 4. 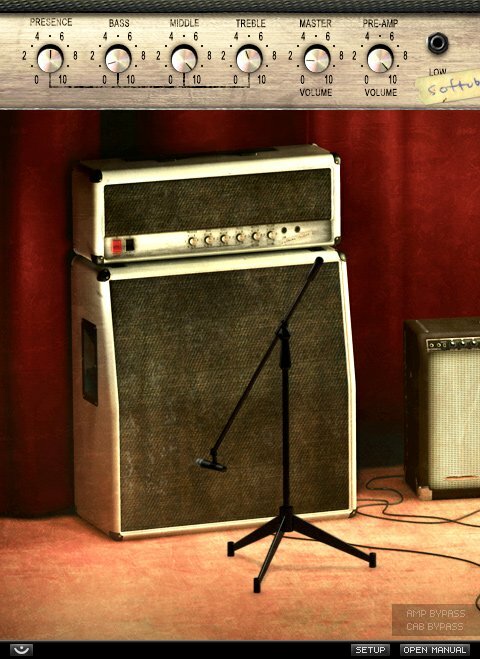 This guitar software amp is one of the most popular and oldest guitar amp sim. It is essentially guitar and bass tone studio for windows PC which according to the manufacturers recreates the entire guitar/bass signal chain from instrument to recording device, and does so in a very realistic and intuitive way. Ik Multimedia Amplitube 4 packs lots of features such as speaker replacements, improved signal routing, a host of new amps, and an acoustic simulator pedal. The software also takes guitar amp realism to the next level with its new cable room feature which gives a unique feel of customization and flexibility. Another major addition to Amplitube 4 is the classic “British collection” which gives 5 vintage amps namely the (Brit 8000, Brit 9000, Red Pig, Brit Silver and Brit Valve-Pre). 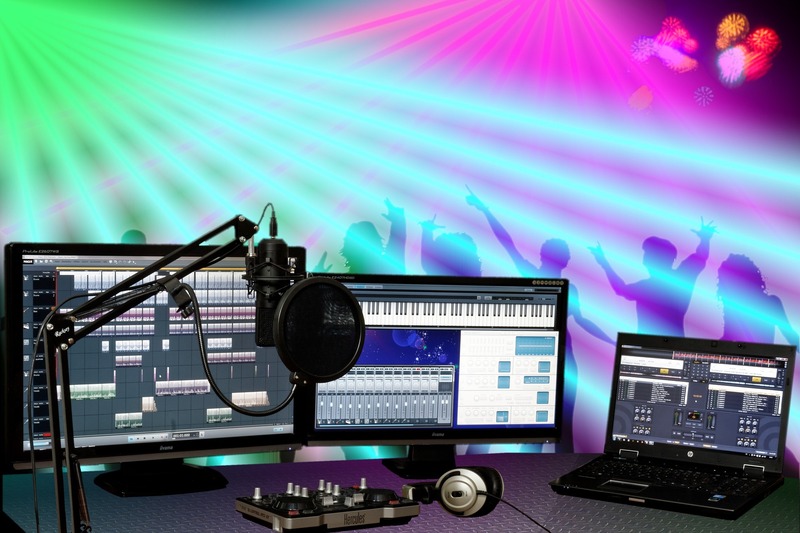 Amplitube 4 also enables users to select from 6 recording studio rooms namely Big Live Room, Booth, Garage, Studio A, venue and studio B.
IK multimedia amplitube 4 has unlimited custom gears which can be purchased to give more desired features. 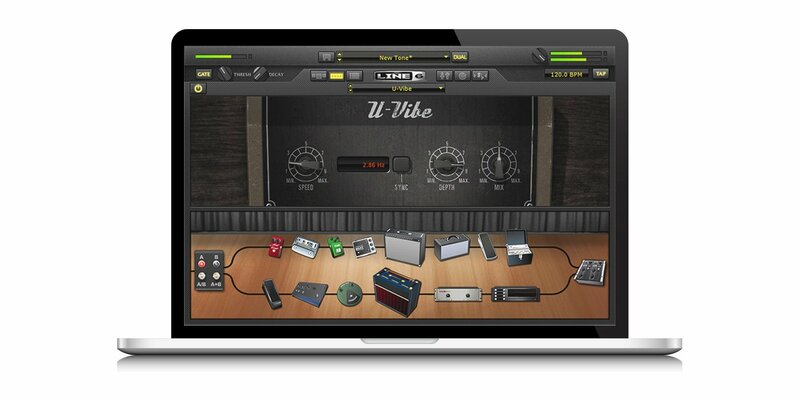 It is definitely worth the price as one of the premium guitar amp software. Waves GTR3 is one of the pioneer software companies to produce amp and effects modelling software for guitarists and continues to produce amp software with its unique Guitar tool Rack. The software also had a unique DI box which was design in collaboration with the legendary Paul Reed Smith to give quality DI electric guitar signal. Waves GTR3 has over 30 amps, 30 Cabs, and 25 stompboxes and supports models for Fender, Vox, Mesa, Marshall, and others. The Guitar tool Rack also comes with a full plugin which incorporates ‘stomp’ effects and two amp/cab models, with a dedicated tuner page. The ground controller is quite good as it integrates well to the tuner software but has some disadvantages as it offers little control beyond the basics which is quite disappointing. 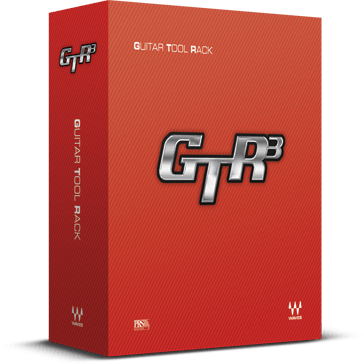 Waves GTR3 is good software with good features which makes it great for guitarists. But gives poor integration with ground controllers. Positive Grid Bias amp software is unique among amp software as it was initially a guitar software before porting to windows PC with competition fierce in the PC market with the likes of Wave GTR3 and IK Multimedia’s AmpliTube. This software brings a different feel to guitar amp with its unique amp design function which allows users to configure within the virtual power amp without problems associated with a physical power amp. In addition, Positive Grid Bias has features such as amp design and amp modelling. The Bias professional version features a dedicated match technology which allows users to sample both the actual sound produced with the targeted sound to be created. It then applies a unique algorithm to process the initial sound to get the target sound. 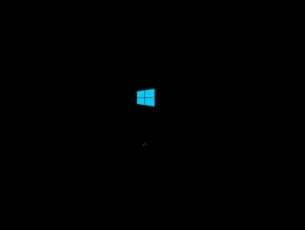 The user interface of positive Grid Bias is quite good in which elements can be accessed from the main plug-in window, which is split into four horizontal areas. The custom allows configuration of virtual knobs to give desired tone as would be using a real amps. 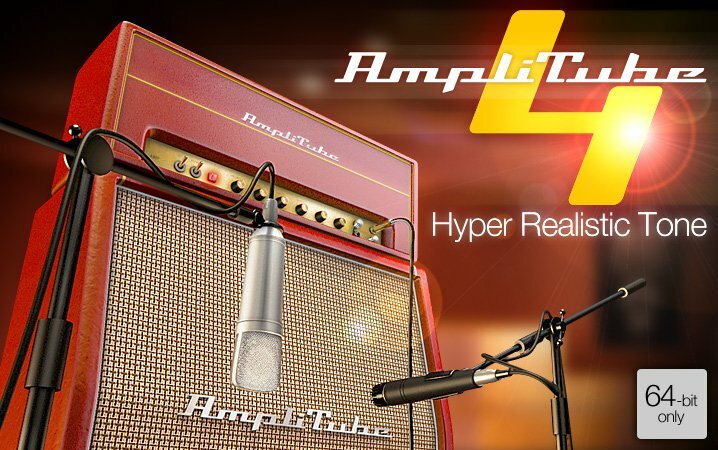 This is good software for guitarists who will specifically enjoy the amp match technology. This guitar amp software has been for quite a long time and is one of the premier guitar amp software. 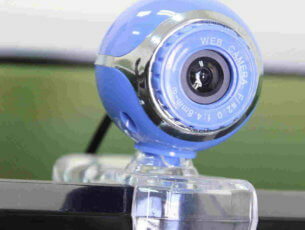 It is loved by users due to its simplicity in use while retaining detailed features. Guitar rig 5 comes with 15amps while retaining popular models such as Satriani, Van Halen, Rammstein, ZZ Top, Hendrix and many more. Guitar rig 5 has a control room which can balance the 8 sounds to get desired results. The new Stereo Tune effect spreads the stereo image of a mono guitar to great effect, providing a much wider stereo image. 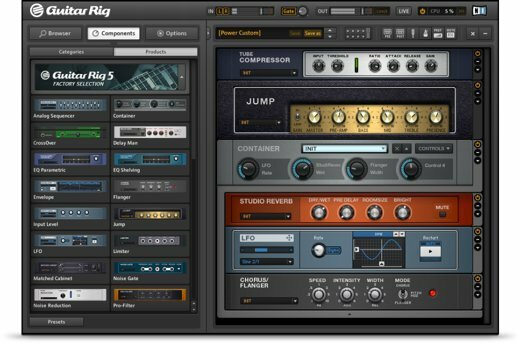 Guitar rig 5 gives users new amps, effects, and Control Room Pro which is ideal for guitarists of all genres. 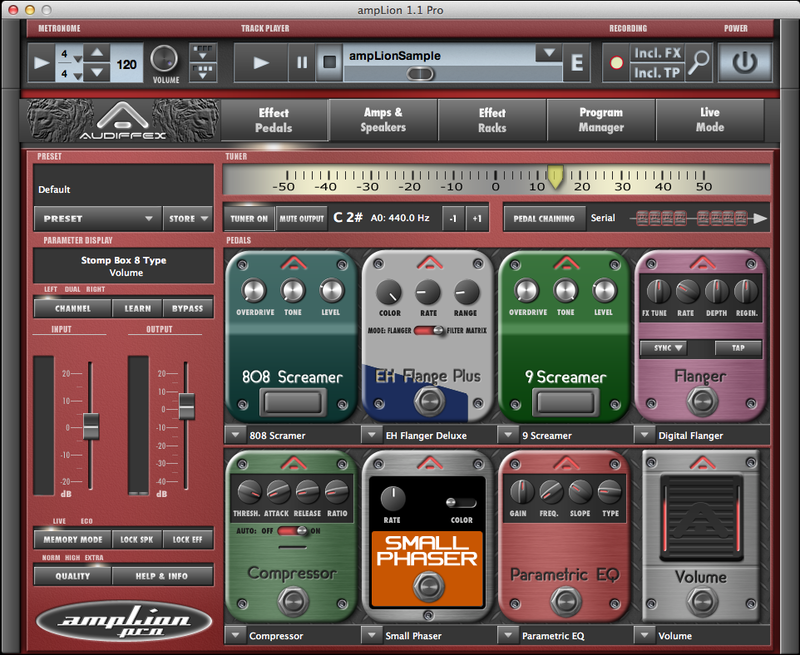 AmpLion Pro is a standalone application for guitarists. It can need used with aDAW host, whereby uses can open AmpLion Pro as a mono plug-in in a mono track or as a stereo plug-in in a stereo track depending on users preference. AmpLion has among it features 9 guitar preamps, 7 power amps, 12 speakers, 8 microphones and 30 effects to deliver wide varieties of unique guitar sounds. It also consist of 9 amps model which includes Fender emulations Super Clean, Deluxe Clean, Bass Crunch, Super Reverb, Deluxe Reverb, and ’59 Bassman to give a wide variety of clean sounds. AmpLion Pro offers users’ flexibility in changing mic position users can change the tone by moving the mic. The mic can move from side to side on the speaker cone additionally the mic angle can be adjusted. It offers fair value for money but for guitarists looking for more features can check out amplitude 4 or Wave GTR3 but it’s useful due to its control of mic position. This software is one of the simplest and straightforward software available. It is different from other modelling packages that offer dozens of amps, interchangeable speakers, effects and pedals; Vintage Amp Room offers just three classic amps. Users can adjust the controls by clicking and dragging to move from one amp to the other and the mouse can also be used to move the virtual microphone in front of the cabinet. The amplifiers really do sound well with users having to work on the controls and mic position to get the best sound out of them. The software gives a specialised focus on a few classic models which is good as users get good quality with its straightforward interface. Pod Farm 2.5 is premium amp software that offers amp and effect modelling for guitarists. It comes in two versions which is the regular and platinum version. The platinum version has more model amps, cabs, stomp-box effects and studio effects. Pod Farm 2.5 comes with a unique user’s interface which uses a simple carousel-style gear browser, with graphical representation of the cabs, effects and amps. Pod farm is easy to use with buttons properly arranged and named to give users quick accessibility. However, this software comes with huge range of amp which gives quality sounds and users can easily choose the few sounds that interest them. The platinum version gives users access to 78 amps as well as 24 cabinets, 28 bass amps, 22 bass cabs, 97 effects and six mic preamps which can be tweaked to give users optimal options. Pod Farm 2.5 is a very good alternative to other guitar amp software with its decent collection of amps good user interface and flexibility. This software is one of the best guitar amp software. It is actually free to download but users have to purchase the producer pack to have access to lots of features. It allows users to check its fame features through its demo; users can buy and download amps and cabs from the inbuilt app store. Peavey ReValver 4 gives users diverse range of tonal options with huge number of presets, which users can get the versatility provided by this combination of virtual equipment, and for bass and acoustic guitar. PeavayReValver 4 gives users flexibility and good value for money even though the software may not give that unique users experience like other rival software. 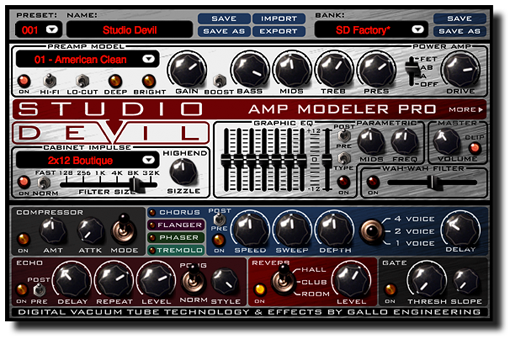 Studio devil comes with a range of features. This software has tools tools such as valve preamp, power amp modelling, while boasting of four stompbox-style effects, impulse-based cabinet emulations, a 7-band graphic EQ, 1-band parametric EQ, compressor, gate, echo and reverb. Furthermore, users can configure everything even to the point that the basic preamp controls have considerable impact. 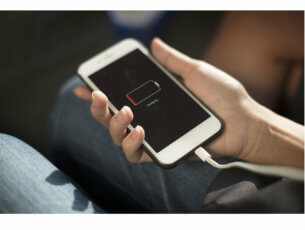 It is good amp sim software which gives an all round feel with its experience. It is easy to use and produces quality sound. 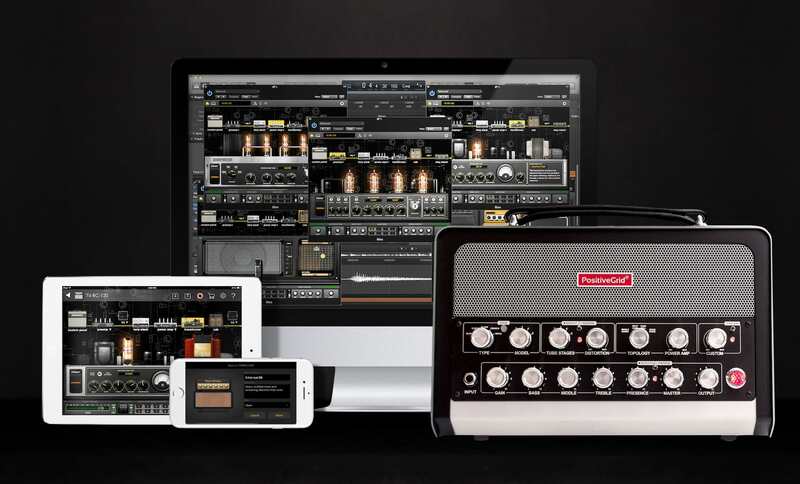 Do share with us your experience in using any of the guitar amp software we mentioned above. Feel free to comment below.